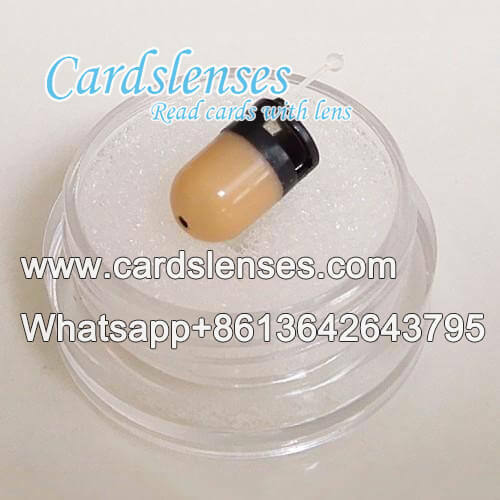 AMK101 marked cards wireless earplug is suitable for all smart phone type of invisible marked cards analyzer, such as CVK best hand analyzer, AKK poker odds calculator and PK-King marked deck scanning system. 2. Its size is about 6 mm; enable us to use them without anybody noticing. 3. Bluetooth connecting way, signal receive will be more clear and stable. 4. Signal transmission distance is up to 10 meters.